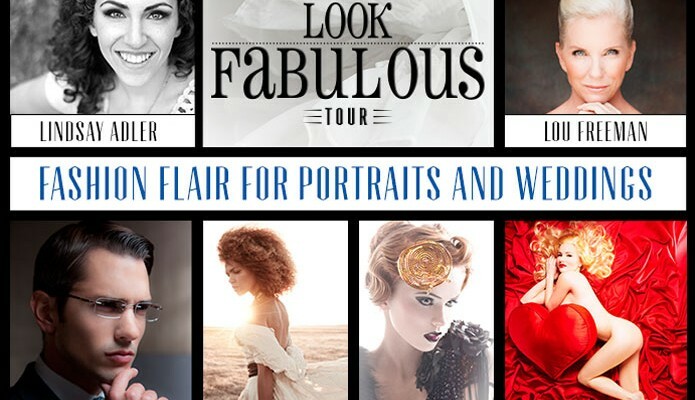 Monte Zucker Photographic Education is hosting another wicked photography workshop this year – The Look Fabulous Tour: Fashion Flair for Portraits and Weddings, featuring Lindsay Adler & Lou Freeman! 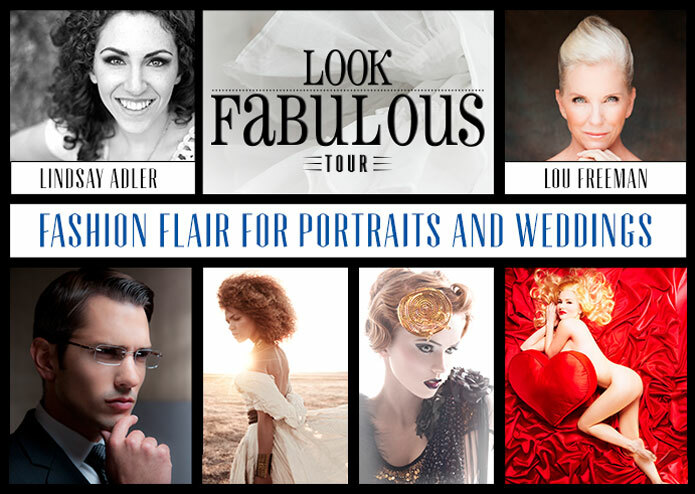 The Look Fabulous Tour, is a 33 city tour teaching how to photograph weddings and portraits with a contemporary flair that features a fresh editorial edge using lifestyle, glamour, and fashion lighting and posing techniques. The instruction will take place in a two part educational format: an 8-hour daytime hands-on master class and a 4-hour evening seminar lecture. Students may attend either the master class, the seminar, or both. The classes will be co-taught by Lindsay Adler and Lou Freeman. I’ve had the pleasure of participating in a workshop hosted by Lindsey Adler at WPPI @ PhotoPlus in New York City back in 2011 and really learnt a lot. The tour kicks off in NYC this weekend, and will make its way to Toronto at the end of May. Don’t miss this opportunity to learn from these all star instructors! The instruction is geared towards professional portrait and wedding photographers, as well as prosumer enthusiasts who are looking to enhance their shooting style for maximum client impact. Monte Zucker Photographic Education is providing our blog readers a discount to the seminars. Simply use the promo code ‘LFTKELVIN’ when you purchase your seminar ticket at www.LookFabulousTour.com for a $10.00 discount off your ticket price, bringing it to only $69.00! Happy learning! Filed under Blog. Tagged Education, Photographer, Photography, Portrait, Portraiture, Tour, Wedding.